As your local HVAC vendor for highly respected and industry-praised Daikin heating and cooling systems, we at Randy’s Heating look forward to installing the perfect system for your residence or office, so you can gain all the benefits of the most modern and efficient HVAC equipment on the market. Even beyond those wonderful qualities, a Daikin Emura system adds an element which has previously been ignored by manufacturers of home heating and cooling – that of aesthetics. 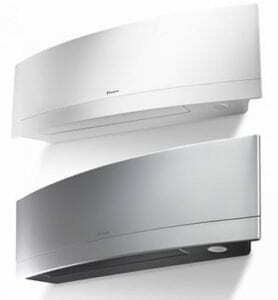 The Daikin Emura is available in either silver or white colors, and its stylish and compact architecture is so elegant that it’s hardly distinguishable as a heating or cooling system. Daikin ductless systems like the Emura, require no massive unit inside the home for the heating or cooling of air, and they require no system of ductwork for the transport of conditioned air to individual rooms. Instead, only the rooms which you designate for conditioned air would have an Emura fixture mounted on a wall or ceiling, and the conditioned air would be piped into that room or zone. So the overall footprint of Emura is far smaller than any kind of traditional heating or cooling system, and it can even blend in smoothly with existing decor. All those great looks doesn’t mean that Emura is lacking in performance though. As an air conditioner, it has a Seasonal Energy Efficiency Ratio (SEER) of 18.9, which puts it at the top of the performance charts. During the heating season, it has a Heating Seasonal Performance Factor (HSPF) of 12.5, which again ranks it near the top of HVAC systems in that category. Add to that its near noiseless performance during operation, and you have a max-efficiency, silent operation, heating, and cooling system. Depending on the season of the year, Daikin Emura can provide between 14 and 115 degrees of cooling operation, and its heating range is -13 degrees to 75 degrees Fahrenheit. The bottom line is – your family members will love the comfort supplied by the heating and cooling performance from Emura. You can also use the Daikin Comfort Control App to manage operation remotely, so that your home can be maintained at a desired temperature range, even without your physical presence. 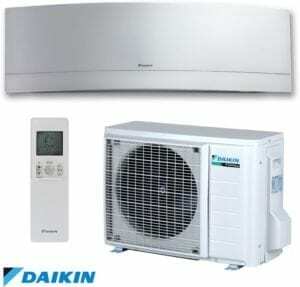 To learn more about Daikin Ductless Emura Heating, contact us at Randy’s Heating. 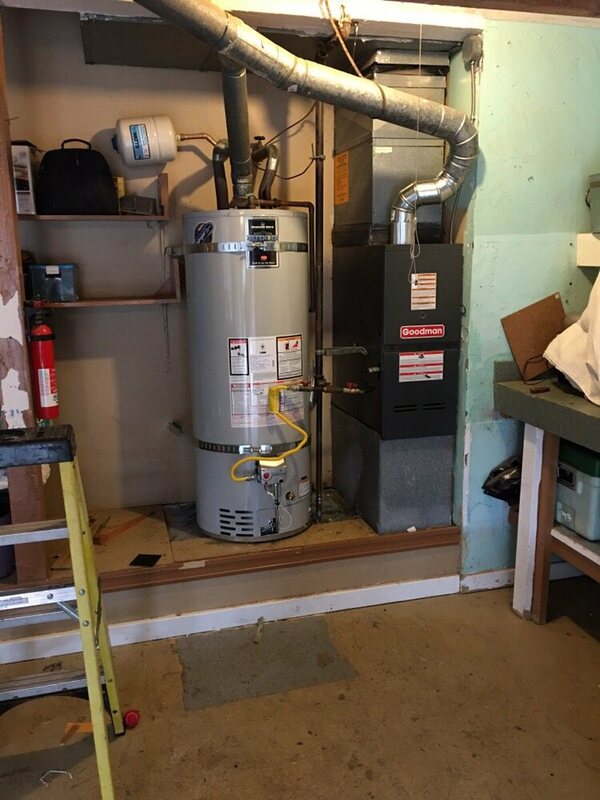 We service a broad area including Bremerton, Gig Harbor, Port Orchard WA and the entire Kitsap County so if you’re anywhere near those communities in the state of Washington, we can definitely install one of these high-efficiency units at your residence or business venue. We can also schedule an appointment to visit your location, and discuss with you exactly how the Daikin Emura would work to your benefit.